EC Miami is one of the ten USA locations that a student could choose to take English language courses in the USA. Our Miami location is extremely unique because the school is located in an iconic landmark building, in the heart of South Beach. Additionally, the white sand and turquoise water is just a short walk away from the schools and our student accommodations. One of the fun things you could do as a student at EC Miami is part-take in the sporting events held seasonally. 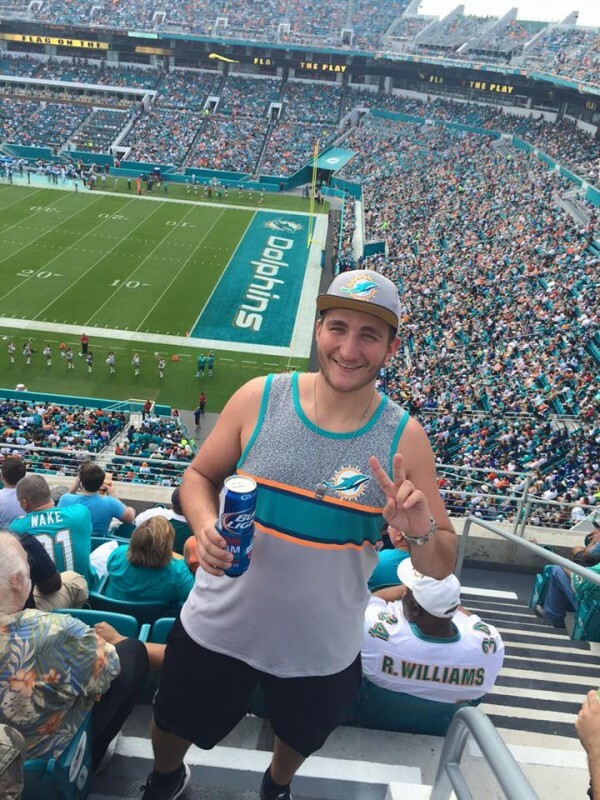 Benedikt Schmaltz, one of EC Miami’s current student, was fortunate to watch the Miami Dolphins Football Game and the Miami Heat Basketball Game live! He wrote a blog post for you to read and experience his favorite sporting events in Miami. Miami Dolphins is Miami’s football team! Their home games are played at the Sun Life Stadium, which seats 76,100 fans. If you are coming from South Beach, you could use a car or an uber that will take you to the stadium in 35 minutes or you could ride the bus for a longer but cheaper option to reach your destination. When you arrive at the stadium, you will see a sea of people heading to the stadium. You will not realize how many people are at the stadium until you’ve walked through the gates and saw the field for the first time. It is an amazing feeling to witness the fans and hearing them cheer for the Dolphins. You do not need to know the rules of the game. It is a very easy sports to follow and you will understand it within the first quarter. Also, the fans are happy to explain how the game goes! The atmosphere is an amazing experience itself. The fans enthusiastic cheers for the Dolphins, you cannot help but to be apart of this unique atmosphere. I also was able to watch the Miami Heat Basketball game live. The Miami Heat is Miami’s national basketball team and one of the most famous team in the world because of Dwayne Wade. The Heats home games are played in the American Airlines Arena, and even though the arena only sits 19,600 fans but the atmosphere watching a game there is just as amazing as watching a Miami Dolphins home game! The arena is located in Downtown of Miami, next to Bayside Market, and it only takes a short drive to arrive at the arena. Although the Miami Heat is well known all over the world, you’d be surprise how affordable the tickets are! It is definitely a MUST do in Miami when you are here during the Basketball season. Personally, watching the game live is better than watching the game on TV, and it will definitely be an experience you will never forget when you are in the USA. It is definitely an unforgettable experience for me.